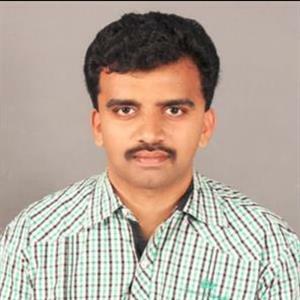 Vijayawada sources reported that when YSRC chief Y.S. Jagan Mohan Reddy completes his Praja Sankalpa Yatra at Ichapuram in Srikakulam on Wednesday, he would have set a record with the longest walk by a politician in the Telugu states. Previously his father Y.S. Rajasekhar Reddy and sister Y.S. Sharmila and Chief Minister N. Chandrababu Naidu undertook similar padayatras. Dr Rajasekhar Reddy and Mr Naidu went on to become Chief Ministers after their padayatra. Reportedly Mr. Jagan Mohan Reddy will unveil a pylon and address a massive meeting with party workers and leaders at Ichapuram to mark the occasion. Meanwhile he was stabbed in the arm at the Vizag airport while he was on his weekly break to attend court. Furthermore the YSRC president started the padayatra on November 6, 2017, from his family estate of Idupulapaya in Kadapa. Though the yatra was scheduled for 180 days, he decided to extended on the back of the enthusiastic response. He covered 13-15 km a day and the total distance traveled by him 3,648 km. Moreover he also had 42 meetings with select groups which included fisherman, auto drivers, teachers, Nayee Brah-mins, weavers, goldsmiths, anganwadi teachers, advocates, ambulance employees, government employees and unemployed youth. Reports added this padayatra has made Jagan more accessible to leaders and cadres, observed a party functionary.